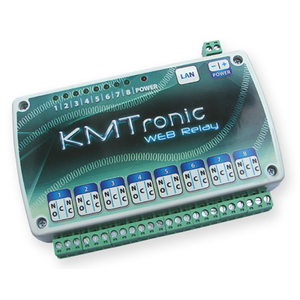 This driver allows you to control the 8 relay device from KMTronic in the Control4 System. With bindings for the 8 relays, simply connect to the Generic Relay driver you want to use and from the Control4 UI you will be able to open and close each zone. 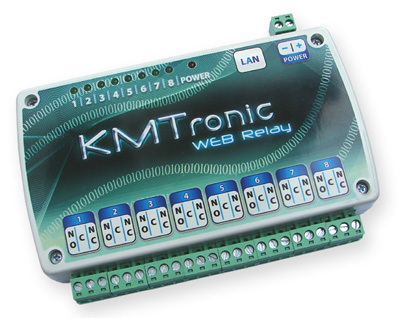 All the relay control is done by executing commands. Use the Programming tab on Composer to execute the commands. - Normal state of the relays: set the state CLOSED or OPENED for the relay when it has no power on it. - Add a Single Relay driver to your project and connect it to one of 8 relays avaliable.